This is a print of Jack Kirby’s Dream Machine at 40.7″ by 17″, which is 70% the size of the original. We struck an edition of 50 of Kirby’s amazing color work with Epson Vivera inks on high-quality paper. While we retail this piece for $150 at shows, we had to hack our PayPal button to accurately reflect the total with shipping ($165 – US, $175 – Int’l.) Shipped rolled in a tube. The Dream Machine print is not currently available for sale. I can’t access PayPal in Pakistan. Is there another payment method available? I could just stare at this for hours. 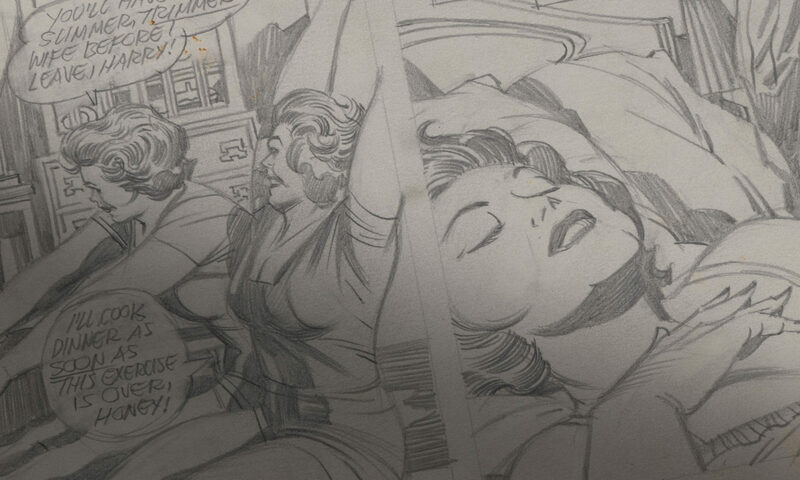 jack kirby had an incredible imagination! so many ideas and so many characters…amazing! My print just arrived, and it’s absolutely incredible. The image above does it no justice. The colors are vivid, the pencil lines are sharp, and you can even see brush strokes in the white gouache. Amazing. Will this be offered again? Will new prints become available? I visited for months with the hope that this item might return to sale. To the extent it influences production, I too would buy this print in a hot second. We just put one up on ebay!